Jewish secularism comprises those Jewish people who are secular and the body of work produced by secular Jews. Among secular Jews, traditional Jewish holidays may be celebrated as historical and nature festivals, while life-cycle events such as births, marriages, and deaths, may be marked in a secular manner. Throughout modern history, beginning with the 'Enlightenment', Jewish thinkers have challenged traditional Judaism. From the time of Baruch Spinoza (1632–77) and his “agnostic morality”, came the belief of the human sense of morality through education and family life, not religious morality. In the late nineteenth and early twentieth centuries, Ahad Ha'am contributed to the secular movement with his ideas on Jewish national identity, religion and religious practice. He saw Jewish religious cultural tradition as integral for the education of secular Jews. Secular Jewish art and culture flourished between 1870 and the Second World War, with 18,000 titles in Yiddish and thousands more in Hebrew and European languages, along with hundreds of plays and theater productions, movies, and other art forms. Franz Kafka and Marcel Proust rank among the creators of these works. 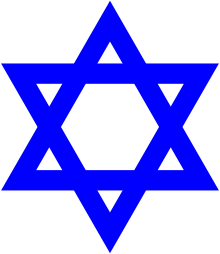 Many prominent Jews have been secular, including Sigmund Freud, Gustav Mahler, Marc Chagall, Henri Bergson, Heinrich Heine, Albert Einstein, Theodor Herzl, Louis Brandeis, Micha Josef Berdyczewski, Hayim Nahman Bialik, Karl Marx, Boris Pasternak, Bernie Sanders, Dave Rubin and Baruch Spinoza. The creation of the State of Israel in 1948 is often seen as secular Jews' greatest achievement, with Hebrew as a spoken language rather than a language of prayer, and the majority of the population living secular Jewish lives. Some 2,000 secular Israeli schools exist, where children study Jewish history and literature and celebrate the holidays without prayer or religion. However, more than 50% of all Israeli Jews report keeping kosher eating habits. Israel observes 'blue laws' on the Sabbath and only essential small food retailers are open and a few movie theaters, mostly in Tel Aviv, none in Jerusalem. Efforts are being made with legislation in 2016 to add additional half days off from work on Fridays to allow more Israelis to prepare to observe the Sabbath.